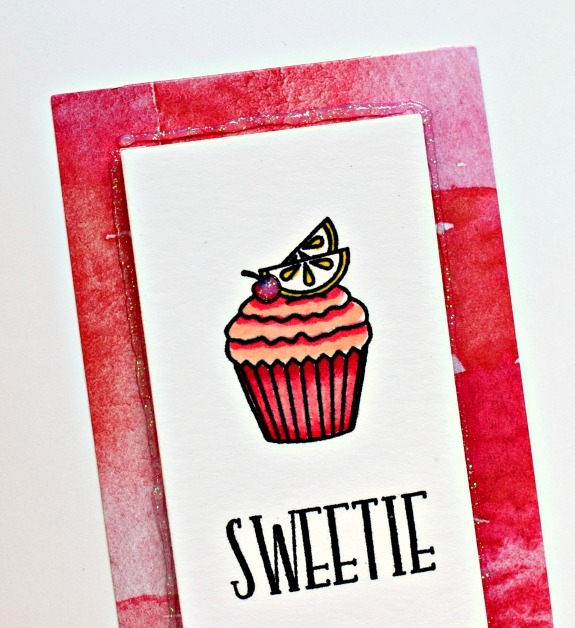 Reached waaaay back into the stamp collection for this WPlus9 Sweets and Treats cupcake set. 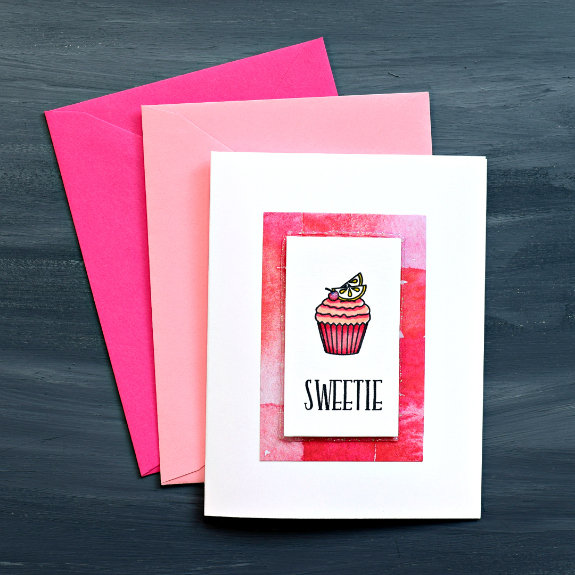 To freshen this up, I used some patterned paper from an Altenew New Day card kit and used coordinating Altenew alcohol markers to color the cupcake. Can you see the glitter around the white panel and on the cherry? It's there -- Nuvo Crystal drops. The white layer is popped up for some dimension, because why not? This sat in my house for less than an hour -- it's in the mail for a birthday. Bam! MOOD WHEN DONE = Got my treadmill walks up to 28 minutes yesterday. I'm aiming for 35 and then I'll work on the speed. I'm slow as dirt at the moment! I love how cute this is with the sentiment, and even better that it's in the mail already. No sense letting moss grow on your cards. You had me over there looking at this cute set. I didn't even know WPlus9 had been around that long. Seems like only yesterday, but, you know, I live in a bubble. About that treadmill... slow and steady wins the race. Is that how it goes?